Quite a few important events have unfolded this week. While still more than a week away, the midterm elections in the US will have a lasting impact on a nation more divided than ever. The recent pipe-bombs addressed to various prominent Democrats. The tragic Pittsburg shooting, killing 11 at a local Synagogue. These two items have a strong impact and I can’t say more than condemning them and hoping that the culprits face justice. I also send out my heartfelt condolences to the family and friends of the victims of the shooting. Due to the explosive nature (no pun intended) of these events, I don’t want to add oil to the future (even if this blog doesn’t have any influence). That is why my memorable articles of the week are not the above two. Instead, I selected the below articles. The selection this week is maybe less impactful or worldly but nonetheless memorable to me. So, without further ado, let’s get into this week’s reads and why I find them worth remembering. This first one might seem strange as it’s about the acquisition of 34 new fighter yets. How can this be so important? Well, it binds our government to a very long contract with the American government and Lockheed Martin. I could say it also means that a huge budget is being used for military equipment but it is shown that this perception is actually somewhat skewed. The Belgian government doesn’t spend nearly as much (1.6%) on it’s military as we Belgians like to believe. In fact, we spend well below the agreed 2% of our GDP. The first delivery is planned for somewhere 2023, so still some years away. I can only hope that this decision was made as objective as possible as the military states. Original source: K. Vansteeland, (October 24, 2018). Europese Economie koelt onverwacht fors af. 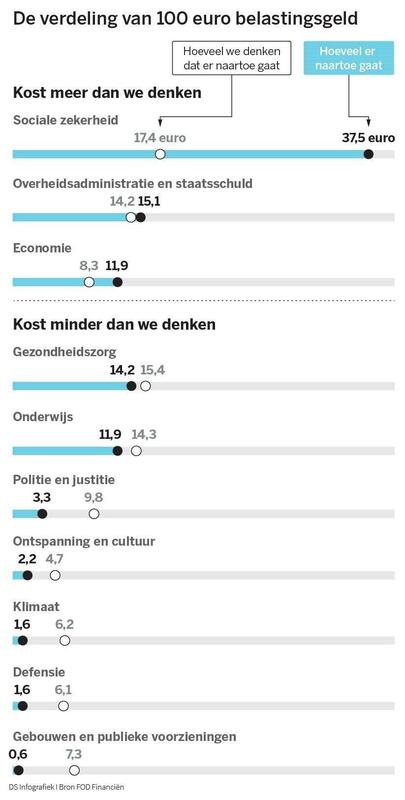 Retrieved from https://www.tijd.be/markten-live/nieuws/algemeen/europese-economie-koelt-onverwacht-fors-af/10062504.html. This isn’t good news. While the European Central Bank (ECB), (ecb.europa.eu) under the direction of Mario Draghi is still trying to bring the economy back up to speed using every means necessary, it’s already cooling down again. The main problem is the Central Bank doesn’t have anything at its disposal to prevent a new cool down. Draghi was even thinking of stopping the Quantitative Easing (QE) at the end of this year (2018). It remains to be seen what will happen if the economy stays subdued or even worsens and how the ECB will tackle this. I’m worried that Europe still isn’t out of the woodworks, 10 years after the start of the crisis. These were my memorable articles of the past week. Do you have anything that you want to share? Leave a comment with a link or a summary and why you find it interesting.